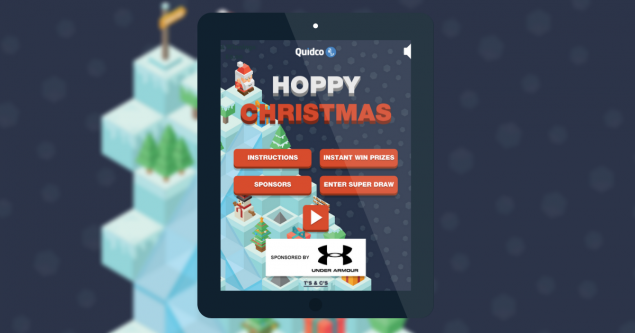 For the third year running, we’ve launched an interactive digital Christmas campaign for online cashback website Quidco. Two years ago, we had the site’s members dashing around Quidco.com in a super-fun guessing game. Then last year, we challenged them to guide a dashing Santa as he dropped presents through the nation’s chimneys. This time around, disaster has struck! Santa’s elves have gone rogue and stolen all the presents, scattering them around Lapland. 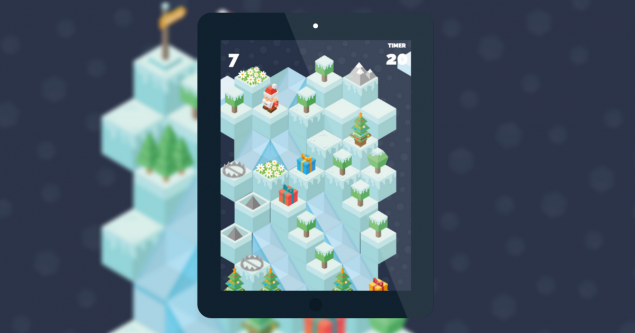 So players of our Hoppy Christmas game must steer Father Christmas through a tricky landscape to collect all the gifts back up again. Those who successfully pick up ten presents find out instantly if they’ve won a share of the £15K prize pot. 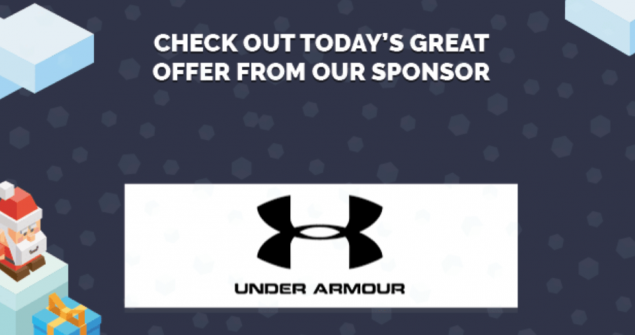 And with unlimited plays, users can play and win to their hearts’ content. 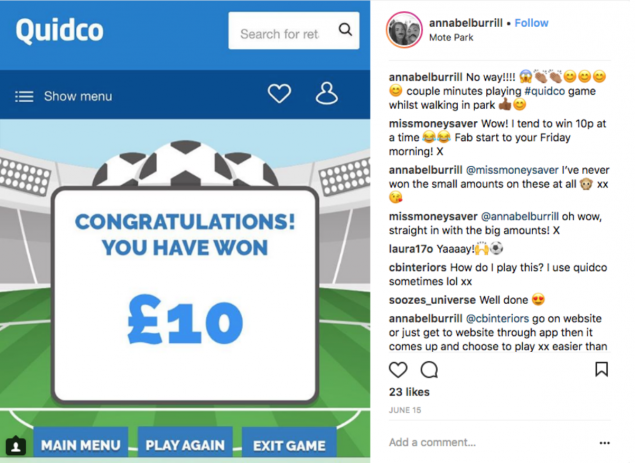 Why do we create games like this for Quidco throughout the course of the year? First and foremost, they are a really simple metaphor for what Quidco stands for: go online, visit Quidco, earn cash. Secondly, they are highly effective at encouraging Quidco members to visit the site at key times of year for online retailers. Many members often forget to visit Quidco before making online purchases, meaning they miss out on free cashback. So our games are a great little reminder to always check Quidco before buying anything online. And thirdly…they’re fun! We make each game a little challenging, meaning players usually need a few goes to complete them. As a result, a dedicated and passionate community of members has sprung up, sharing tips, feedback and even speculating on the theme of upcoming games. Players of all the games must be signed up to Quidco before playing, meaning they’re also a good recruiting tool for new acquisitions. But their primary objectives are existing member engagement, and an uplift in transactions via Quidco.com. Sign into Quidco and play our Christmas game here. Oh yeah…and have a very Hoppy Christmas!